Handcrafted hammered copper sink. Heated in a wood burning oven these sinks are offered in a variety of colours, depending on how often the copper piece is annealed (heated and cooled), from flamboyant gold to ebony black. 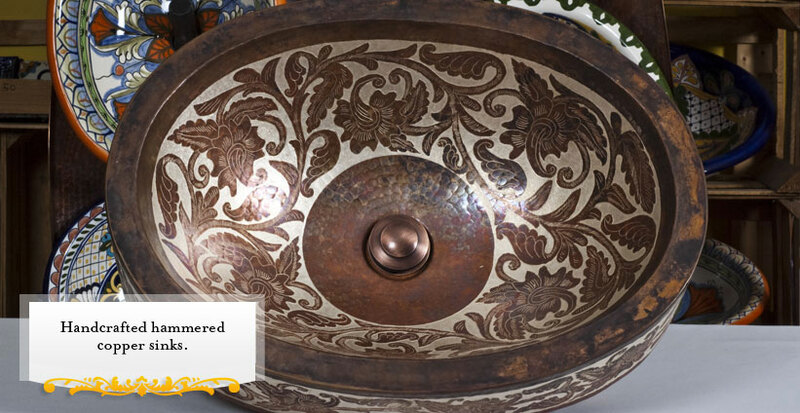 The sinks are available in many shapes: round, oval rectangular, engraved or sculpted. Perfect option for the bathroom, kitchen, and tubs. Copper is an antibacterial metal, manufacturing can be made to custom specifications. Over 70 pieces in store.